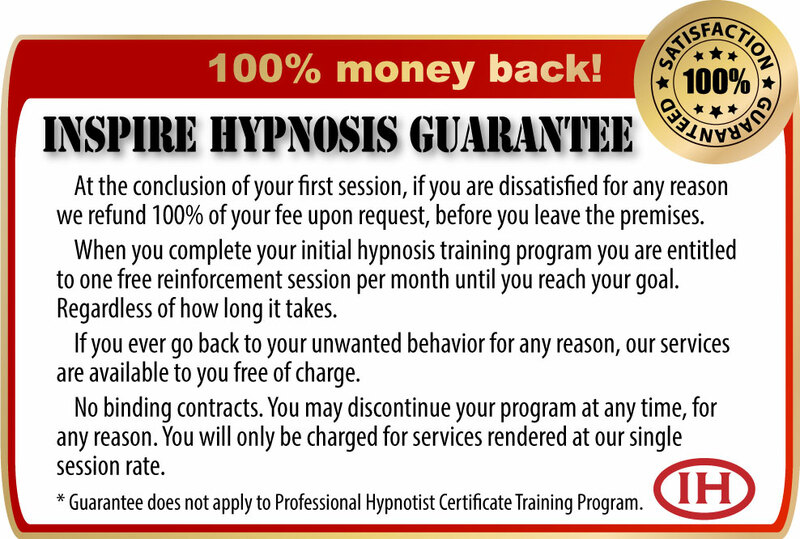 Free Special Reports from Inspire Hypnosis in Redding, California. 7 Most Important Questions to Ask Before Selecting a Hypnotist, Secrets of Hypnosis, and How to be a Professional Hypnotist. Thank you! Remember to check your inbox for your Special Report. Thank you! Check your inbox for your Special Report. Thank you for visiting InspireHypnosis.com. We value your privacy and for that reason we use a double opt-in form for all of our downloads. This helps us insure we don't send email to folks that didn't ask for it. Click on the Special Report you want (pictured above), a window will pop up. Fill in your name and email address. Press "Request Special Report." Check your inbox for email with the following subject line: (Special Report Title): Please Confirm Request. This is the "double" opt-in part, it makes sure you are the person requesting the download. Click on the confirmation link. After confirming request, a page will pop up letting you know your request has been confirmed. Your Special Report is delivered to your inbox in a few minutes. Click on the link to open the PDF file. Most of the time, all this is completed in a couple of minutes. Depending on your server and browser, it may take a little longer. If you have any questions or need assistance with your download, please feel free to contact me.